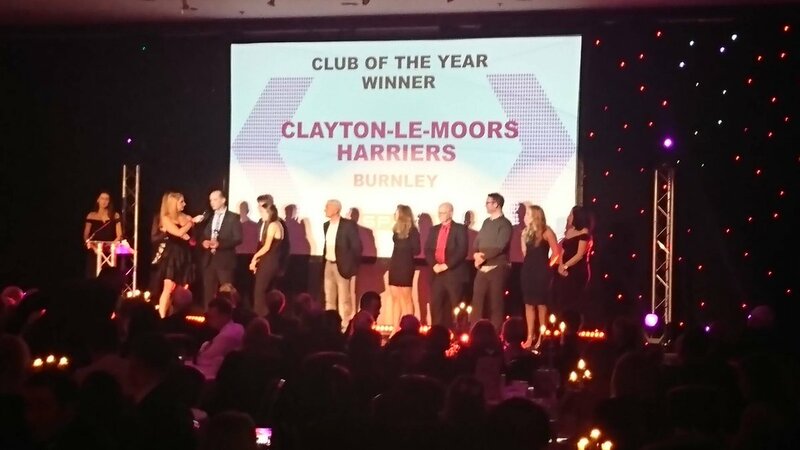 Clayton-le-Moors Harriers are proud to be Club of the Year at the Lancashire Sports Awards 2018! 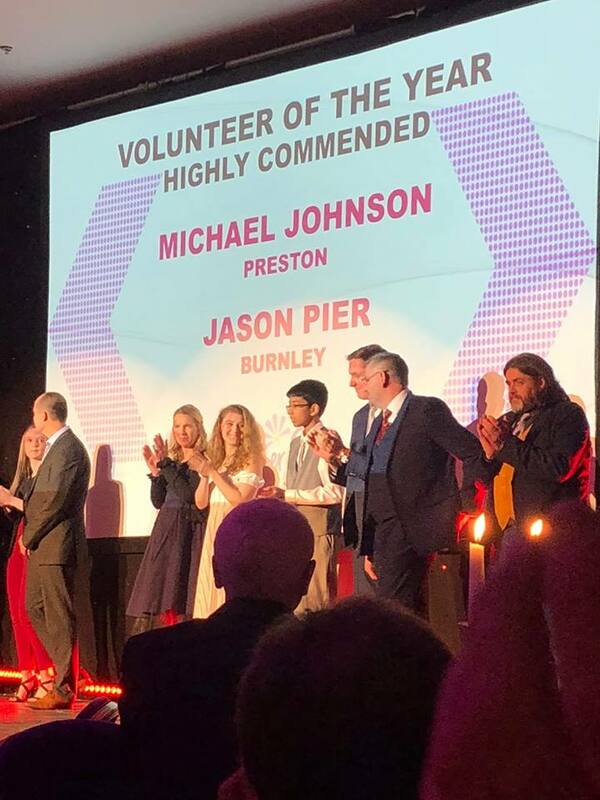 Also at these awards, Briony Holt was Highly Commended as Young Achiever of the Year, and Jason Pier, one of our Junior coaches, was Highly Commended as Volunteer of the Year. Well done Briony and Jason! The club, Briony Holt and Jason Pier were nominated for their awards by Burnley Council. This entry was posted in Announcement, Roundup by Jim Hickie. Bookmark the permalink.